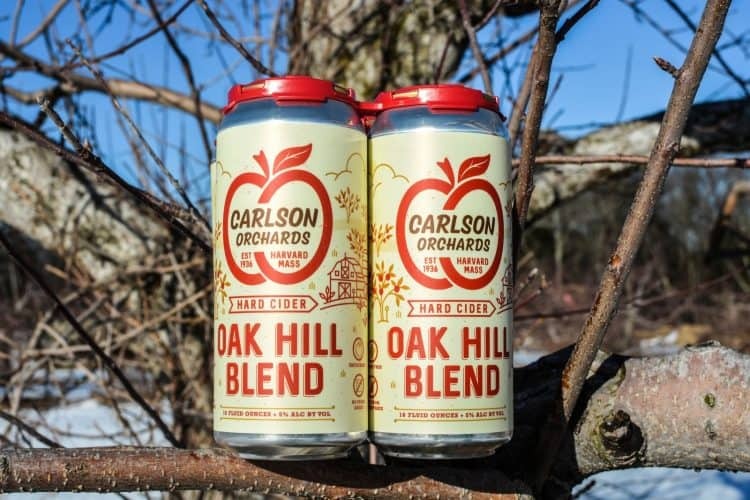 The Carlson family, along with the team at New England Apple Products of Leominster, Mass., have announced the coming of Carlson Orchards Hard Cider, Carlson Orchards’ own line of hard ciders continuing in its long tradition of working with apples. Carlson Orchards has been producing Massachusetts’ market-leading non-alcoholic farmstand cider for the last 40 years, making use of the highest-grade local apples grown with sustainable practices. The Carlson brothers had been contemplating entering the hard cider market for several years, and the timing finally came together this past fall when they tested sales of hard cider straight from their orchard in Harvard, Mass. “As we were researching and planning a hard cider line, we consulted with the lads from Stormalong Cider about a year ago to discuss the project. Stormalong had its production facility set up in the New England Apple Products building, which is the same location in Leominster where our premium fresh market cider is now made,” remarked Frank Carlson, president of Carlson Orchards, Inc. “It was a natural fit to work with both Stormalong and New England Apple on the production of our hard cider. We wanted to produce a hard cider that was similar to our premium farmstand cider, and ultimately decided to make an ‘unfiltered’ hard cider for increased apple taste and character,” continued Carlson. 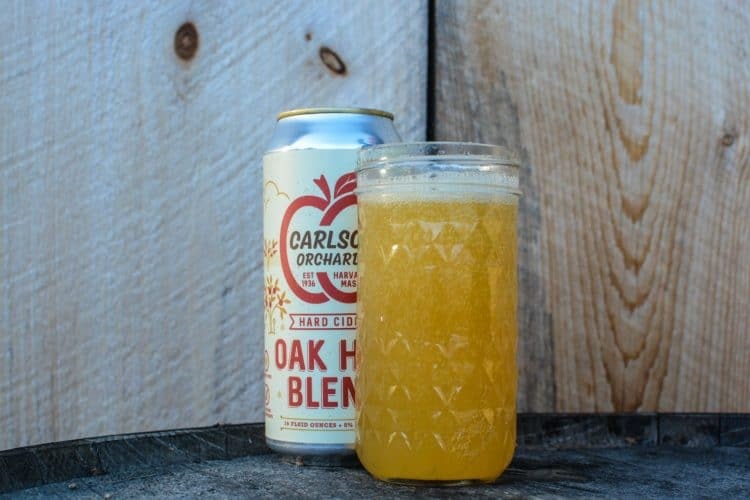 Carlson Orchards Hard Cider’s very first off-site hard cider release will be packaged in 16-ounce cans. The cider’s name, “Oak Hill Blend,” pays homage to the road where the Carlson’s home orchard is located. The cider is bursting with fresh apple taste as it’s made from 100% freshly pressed apples with no added sugar, no concentrate or additives, and it is, of course, gluten-free. Oak Hill Blend hard cider is an unfiltered, cloudy, tart and semi-sweet cider. Stay glued to Carlson Orchards’ Facebook page for a cider release date!